The Model 1074, is a four-channel universal waveform synthesizer. It is built in a small case size to save space and cost but without compromising bandwidth and signal integrity. 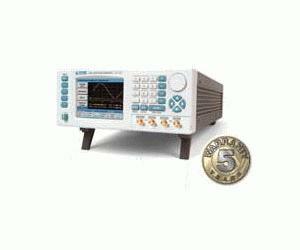 The instrument outputs either standard or user-defined waveforms in the range of 100 mHz to 50 MHz. 16-bit DAC`s are used for building waveforms with excellent accuracy and resolution which are suitable for the finest test signals that are needed for today`s sensitive instruments. Using the latest technology, you can be assured that the features and capabilities of the Model 1074 will be useful for many years.